Monsoon travel India is one of the best things and times to go to India. The warmth and rain can get a bit too much after a time but forgetting that and you are in one extremely lush and beautiful place. 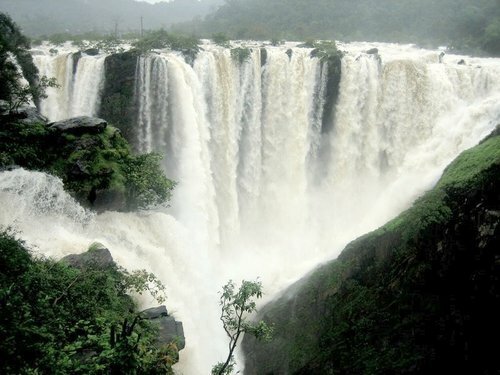 Waterfalls, greenery and wildlife are abundant during the monsoon making for an unforgettable trip. WHAT EXACTLY IS THE MONSOON? For most of the year India is a fairly dry place to be but for one short season during the summer months - mainly between June and the middle of September. During this period, heavy rain clouds arrive from the Indian Ocean brought in something called the ‘Monsoon’, a seasonal wind which is ruled by oceanic currents and other, more complicated aspects of climatology. The prevelant winds in India generaly travel Northwards through India from the South-West direction, thus the wet season is known by the locals as the 'Southwest Rains'. The Monsoon rains are the heaviest at the beginning and things generally begin to calm down a bit after August. The monsoon season in India is a spectacular time to travel. Much like that special something in the air during spring in Europe or Fall in the states. Before the monsoon hits India the lands are parched and scorched by a relentless sun - meaning that the cool, moist air which come with the monsoon season is greatly appreciated by all. If your are intending to travel to India during the monsoon season then have a look at this list of recommended destinations. Even beautiful Goa is an awsome place to be during the monsoon, despite the fact that everything is closed and most of everything else has blown away, the monsoon here is pretty exciting. 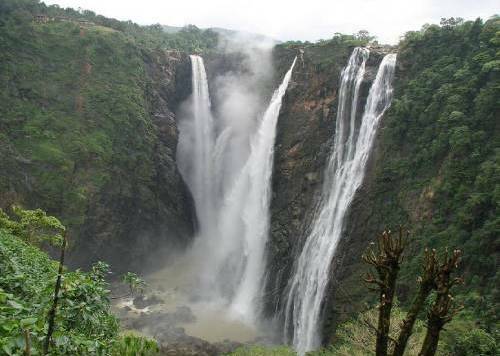 Of course some of the main attractions India monsoon travel are the waterfalls. Follow the link to head over that page filled with more great destinations and information. HOW MUCH DOES IT ACTUALLY RAIN DURING THE MONSOON IN INDIA? Well the answer to this question is difficult to answer due to the spontanious nature of the Indian rainy season. The coast always gets a lot more rain, for example Karnataka (in the south) gets a huge amount of rain but as soon as you start travel inland you may find that it won't rain at all! Kerala, coastal Karnataka, Goa, Sahyadri mountain ranges, Maharashtra, Orissa. The rains in states such as Uttar Pradesh are highly unpredictable – Some years there are floods and other years huge droughts. In places where it rains a lot, it's wise to carry an umbrella. In general, the Indian Cities can be pretty horrible places to be when there is a lot of rain. Unlike the countryside which relishes the rain, the cities can generally start to flood, smell and generally be unpleasant places to be. Acid rain caused by the excess pollution can also cause problems although this is quite rare. Unlike the winter seasons where accommodation is plentiful for tourists, the rainy season can be quite the opposite, always book ahead for more information. Check out our list of hotels for prices and availability etc. Shane and Tony both asked questions about travelling In India during the monsoon, follow the links for more information. 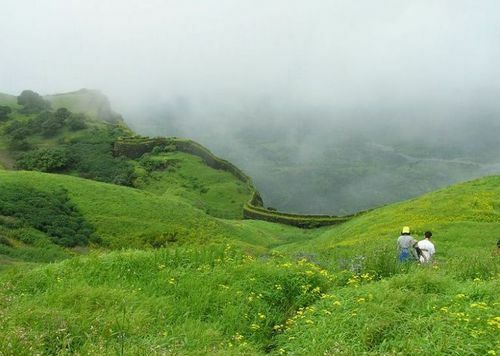 Tony Asked: Travel during Indian Monsoon: What's it like? Shane asked: Will I actually enjoy my travels to India in the Monsoon season?